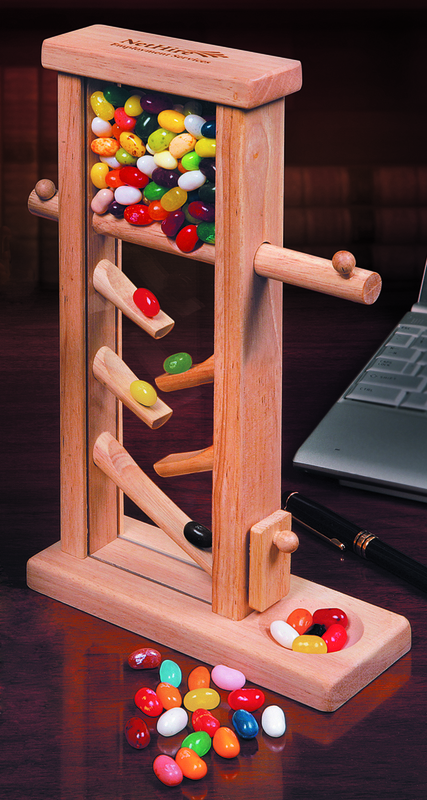 Voted the Business Gift of the year, this nostalgic dispenser evokes the childhood memories of the local candy store and their multi-colored array of delicious confections. Simply remove the cover, and fill the chamber with jelly beans. Turn the crank and feel like a kid again! We include a half-pound standard assortment of America’s favorite jelly beans, the JELLY BELLY®. Dispenser is packed in a navy gift box. The wooden cover is firebranded with your imprint. Imprint Area: 3" x 1-3/4"